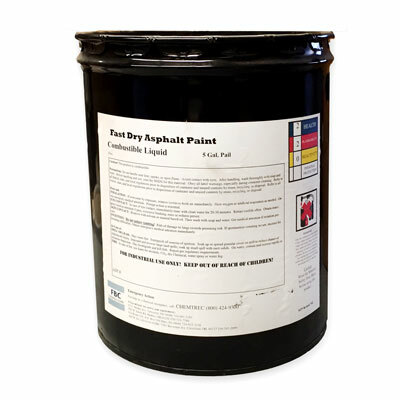 FBC Fast Dry Asphalt Paint is a solvent-based quick dry primer or general purpose black asphalt paint. Apply by brush, medium nap roller or airless spray equipment. Coverage will vary from 3/4 to 1 gallon per 100 square feet depending on porosity and type of surface being coated.